Preorder Endangered by Dani Hoots now! I wanted to let you know that I have update my author website, http://danihoots.com, and that it also contains a blog where you can follow all my updates of my projects I’m working on, along with all the free short stories I post. I will still be using this blog for reviews and geeky things, so don’t you worry! I just wanted a blog where I could focus solely on my projects. I’m proud to announce my upcoming series Daughter of Hades is coming to you at full throttle! The cover will be revealed March 23rd, at the end of the Goodreads giveaway. If you have a blog and are interested in participating in the cover reveal, please check my Facebook for the sign-up sheet through YA Bound Blog Tours next week. Endangered will be published May 13th, 2016, and there will be plenty of ways to participate! I will be having an online book release party through Facebook, which you can already join by clicking here. At that event I will be having a bunch of giveaways, swag, and author takeover events all day on May 13th so please join us! Along with this, I will also be having a Blog Tour through YA Bound Blog Tours, so if you have a blog and review books, be sure to check out my Facebook page and join my release party to stay updated! Be sure to add Endangered to your “want to read” list on Goodreads by clicking here! 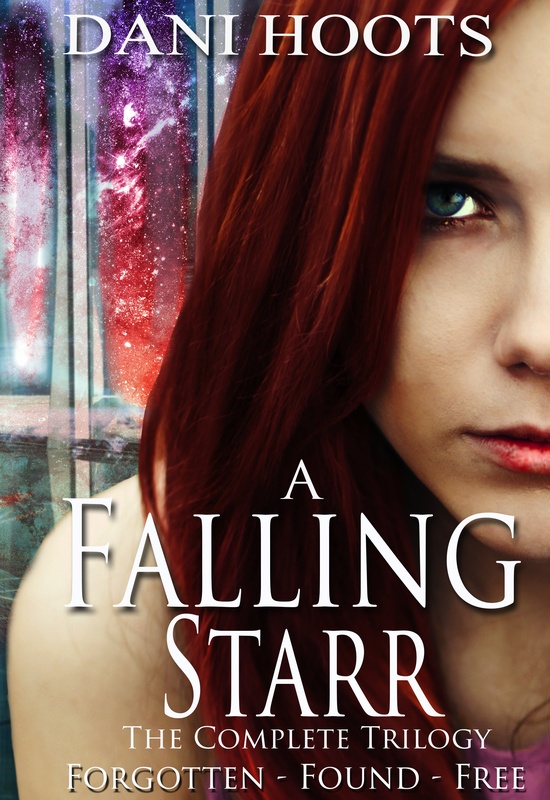 In celebration of the cover reveal for my upcoming novel Endangered (Daughter of Hades, #1), I am host a giveaway for A Falling Starr: The Complete Trilogy on Goodreads from March 3rd to March 23rd! 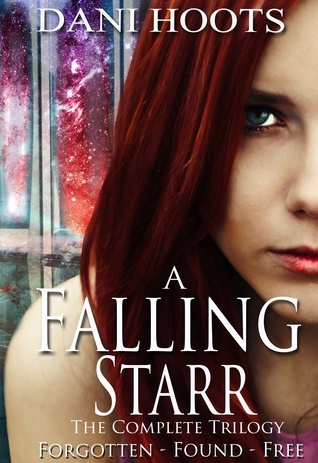 To enter for a chance to win a signed edition of A Falling Starr: The Complete Trilogy on Goodreads, click here! There will be three luck winners and they will be emailed at the end of the giveaway. Don’t forget to follow me on Goodreads here! 2016 ~ What’s to come? I wanted to update everyone as to what the new year will bring! I have a lot of projects I’m currently developing and I can’t wait to share them with you! I will be finishing up the last three novellas here soon with the third volume paperback available in the spring. I will be writing an adventure with most of the vampires in a modern day setting! It’s going to be like an avengers get together where they have to defeat some sort of evil? Who’s gonna be the villain? Well, you will have to find out! Also, there will be extra stories about our vampires in the back of this novel so stay tuned for that! It is scheduled to publish in the fall of 2016. The last three short stories are currently being written and the paperback collection should also be available in the spring. The Journey is currently at the publishers being edited with a spring release. I am also planning on working on the third, and last, book in the series that should be published in the fall/winter. There will also be two preludes for 2017. At Antik Comics, Ari and I are working hard on finishing up our graphic novel for our kickstarter. We are aiming for a kickstarter in the spring so do check back here in March! We are planning on two graphic novels for the series. Get ready for a new series! This series is about Chrys who is the unknown daughter of Hades and Persephone. Her parents have been hiding her in the underworld, not wanting any other god/dess (mainly Zeus) to find out about her as she has the power to control life and death. However, Chrys is sick of living in the underworld and wants to know what Earth is like, what being a teen is like. She takes her tutor, a teen who was her tutor on recent history and modern age, and they sneak to earth and enroll in a high school where Chrys tries to learn what being human is like. However, little does she know that god/desses have spies everywhere and it isn’t long until some figures out what’s going on. This is scheduled for a late spring release and the second one for a winter release as well. I will (hopefully) be releasing one remake of a fairy tale legend a year. Each book in the series will be independent. The first one will be based of Little Red Riding Hood. Details to come! Little Red Riding Hood (Title TBD) will be released in summer 2016. I will also be pitching some of my books that I have finished, currently working on, and ones to start next year. I’m very excited about some of my new ones I am working on and hope that it will get picked up. Wish me luck as I do so! Be sure to check out this blog and my website www.danihoots.com and www.antikcomics.com for all my published works! Three of my novellas are FREE right now on Amazon for Kindle from December 23 to December 27! One year ago Angela Starr woke up in Portland with no memory of who she was nor where she was from. Since then she has been searching for any trace of herself, only to find nothing. Wanting to move on with her life, she decides to enroll into college only to run into someone she feels familiar with. Did she know him before the accident? Did he have the answers she had been desperately searching for? With strange men following her and a man who seems to know more than he is letting on, Angela Starr may finally find what she has been looking for. Vampires around the world are coming forth to remind humans they are not romantic fantasies to be sought, nor are they should that can be redeemed. These are the stories that they must tell. The first novella in a series of twelve, Anne Fitzgerald gives the tale of her involvement in the Irish gangs in the 1930s and her transformation into the Wyandot’s vampiric legend of the hooh-strah-dooh. Her tale is a hard one to tell, with love, loss, and abuse plaguing her past. But she must tell it so that humans know the truth. That the world of the vampire is one of suffering. This novella is independent. None of the A World of Vampire Series need to be read in order. It was good news to Heinrich when he found out he was getting promoted to assistant manager at his office, but when he found out he would be going on a business trip with his boss Christoph, he knew he had to try his best to not let his true feelings towards his boss show. But after a couple of drinks on the business trip, can he keep those feelings to himself? And what if the impossible happened and Christoph had those same feelings as well? All the My Broken Heart short stories are independent and don’t need to be read in order. Why I didn’t like the new Star Wars movie, The Force Awakens. Okay, to start off, I grew up on reading Star Wars. I love the books, I love the plot that they developed, the character developments and everything. Even after my favorite character died in the books I still understand why it happened and that it was necessary for the story. That being said, most people think I’m bias of why I didn’t like the movie, but here I am going to say why I didn’t like it comparing it to the books, and for the movie by itself. Merry Christmas! Here is my new free short story download called “Klopf” (pdf at the bottom of the post). I hope you all like it and if you want to read it on an e-reader, download the mobi or epub from my website www.danihoots.com . Feel free to share this story with friends and family and review it on Goodreads!